Customer service is important to us. We pride ourselves on delivering outstanding products and services to our customers and we’re constantly seeking to update our processes. That’s why we ask every single customer for feedback on their experience with us. Our feedback is gathered from an independent review company—Feefo. 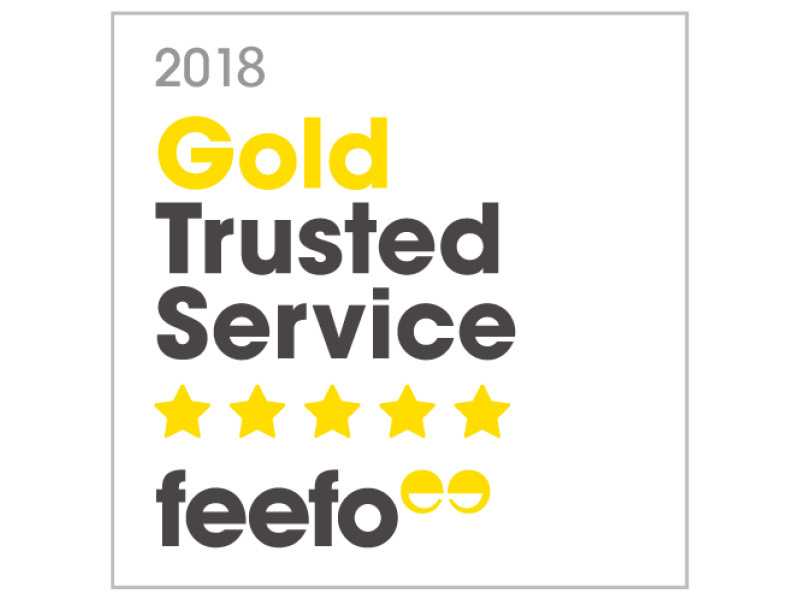 Our service consistently receives ratings over 90% and, in 2018, we were awarded a Gold Trusted Service Award for consistently maintaining an over 4.5 Star rating on Feefo! You can read our My New Caledonia reviews here! Everything went very well from the time of the bookings to the time we stayed over there. The people were very friendly and always willing to help. Lovely place to see and visit. Very helpful staff. They gave us lots of options and were very proactive and thorough. We are very much looking to our honeymoon! Awesome service with a laugh over the phone! Haven’t been on the trip yet but everyone I spoke to was so helpful! If they’ve been to Noumea they gave me hints and suggestions from where to exchange money to how to hire snorkel equipment etc! I can’t speak more highly of My New Caledonia – the telephone booking was seamless, with all queries attended to promptly. I have visited New Caledonia three times over recent years and always through My New Caledonia. I continually recommend My Holidays to all those who are considering holidays. The staff I spoke to or emailed were helpful and made arranging a holiday very easy. All items on my scheduled itinerary were confirmed and worked seamlessly. I would book another holiday with them again. It was a good choice of the hotel and location(thank you – My Holiday). We liked the tropical climate and atmosphere, the cleanliness, food and services. Hotel staff were all very nice and helpful, especially concierge services. I enjoyed this holiday very much and I highly recommend it to anyone. Very helpful phone staff; very knowledgeable about the destinations. Very easy to deal with. Holiday itself went very smoothly and was relaxing and enjoyable. It was a brilliant service. Everything was explained well, there were many inclusions that was a real bonus. I found everyone to be very helpful. Our holiday was just amazing, couldn’t have asked for anything better. Thank you! When can we book again! We would definitely use this service again, everything ran smoothly and we were very happy with the friendly staff and they answered all our questions without any hesitation. The emails flowed backwards and forward between us to get the booking just right and how we wanted to customise our holiday. Can’t wait to book our next holiday through My Holiday Centre. The service I received was clear and precise. I didn’t hesitate to book my holiday on the spot with the help of the travel agent. He answered everything I needed to know or found out quickly for me. I have used the My Holiday service before and will definitely use it again! Much appreciated. We dealt with Ben Christensen from My New Caledonia and he was fantastic! He went above and beyond, even advising the resort that we were celebrating our wedding anniversary during our stay! We received some amazing personalised french pastries and champagne to help us celebrate 🙂 Ben was always prompt and helpful with my questions and he was truly dedicated to making sure we enjoyed our time away. Everything about our holiday was great, I would not hesitate in recommending My New Caledonia to all of my friends and family – AND HAVE!!! We travelled as a couple and stayed at the Le Meredian in Noumea with a booking made with My New Caledonia. We received good service with the booking and the follow through when we got to Noumea i.e. tours, hotel credits and other extras that were included were received without any problems. The hotel lived up to its name and was in a nice location close to tourist expectations. We would recommend the company to prospective travellers to the area looking for a nice and trouble free experience. Read all of our My New Caledonia reviews here! Our exclusive New Caledonia deals offer unbeatable value at the best New Caledonia destinations. These packages are full of money-can’t-buy bonus inclusions and will help you to enjoy the holiday of a lifetime! Trust that you’re getting the best of the best—if we wouldn’t stay there, you won’t find it at My New Caledonia!